Mr Rose, whose impressive CV boasts the titles of entrepreneur, angel investor, mentor and author, will be speaking at the Entrepreneurial Scotland Annual summit 2019 at Gleneagles on April 25. The Yale University and Columbia Business School graduate is chief executive of the world’s largest business start-up network, Gust, which is used by many of the world’s angel investment groups to process their deal flow and collaborate on funding early stage companies. Gust connects more than 75,000 accredited investors spanning 2,500-plus investment networks and venture capital funds in 150 countries, to in excess of 600,000 early stage companies. The firm welcomed one of Entrepreneurial Scotland’s “Saltire scholars” last year. Mr Rose enjoyed early career success before being “wiped out” during the internet dot.com boom and bust years. As an angel investor, she has seed-funded start-ups that were later acquired by the likes of Google, Amazon, Facebook and Uber. He is also the author of Angel Investing and The Startup Checklist, both New York Times Book Review best sellers, and founded the New York Angels – one of the longest running active angel groups in America’s largest city. His entrepreneurial journey – he has described himself as an “inveterate start-up guy” – started at the age of 10, when he produced business cards and posters to promote his brother’s magic shows. “I am really interested in what is coming out of the Scottish entrepreneurial ecosystem,” he said, adding that entrepreneurship and angel investment were “remarkably similar” all over the world. “Angel investors try to look for the same things, whether they are in Russia, Poland Scotland, the US or Madagascar,” he said. 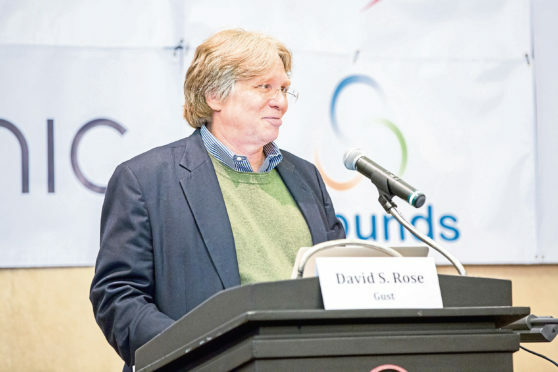 Mr Rose also said successful entrepreneurial cultures needed to be able to be able to “tolerate failure” because of the strong likelihood of many business start-ups not surviving. Entrepreneurs are either of the “natural born” variety – like Sir Richard Branson – or blessed with the right mix of talent and risk-aversion to become a success, he said. Around 300 entrepreneurs are expected to join Mr Rose for next month’s gathering at Gleneagles.